God is with us when we are awake and He is with us when we sleep. King David declared in Psalm 139 that there was no place that he could go to escape the presence of the Lord. In today's promise, King David writes that the Lord is listening to our prayers when we call out to Him in the morning. Think about this for a minute. God watches over us when we are sleeping and He is right there ready to hear our prayers the moment that we wake up! It absolutely amazes me when I think of how attentive our Heavenly Father is to our needs. Jesus told us in Matthew 6:8 that our Heavenly Father knows what we need before we even ask. 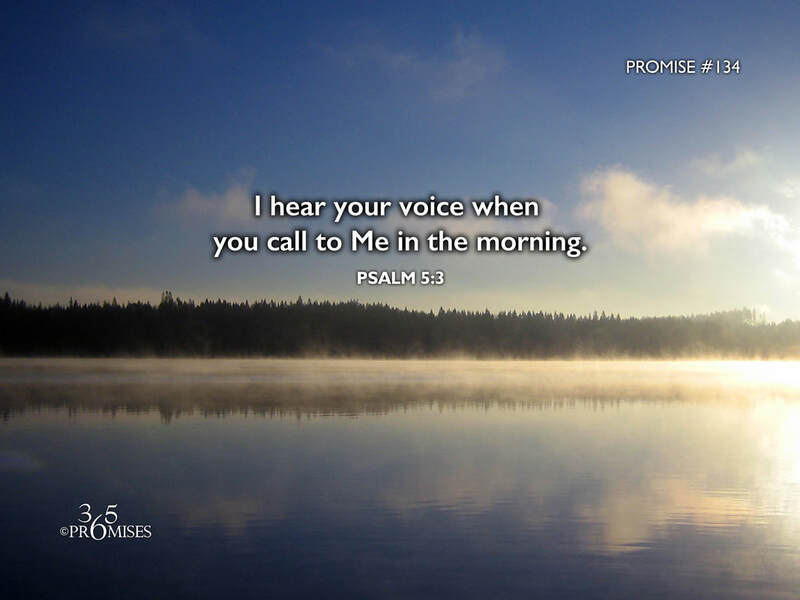 So when you first open your eyes tomorrow morning, think of this promise. God is waiting to hear from you. His heart is longing for us to commune with Him morning, noon and night. He is always watching over us and He is listening for our voice when we rise in the morning.